Fostering relationships between academia and industry is hardly unique — but few business schools can match Stevens’ legacy of innovation and leadership in the face of technology-driven change. That’s what makes the Stevens Alliance for Innovation and Leadership more important now than at any time since its 1992 founding. And it’s why more companies — including JPMorgan Chase and Pfizer this year, and IEEE in 2017 — are joining SAIL in search of competitive advantages in the digital economy. The program’s growth is a function of the careful stewardship of its director, Dr. Christopher Asakiewicz, who saw Stevens’ unique strengths as a strong selling point to companies struggling to take full advantage of concepts like business analytics, digital transformation and cybersecurity. “Rather than try to be everything to everyone, I focused on the kinds of faculty research that are applied or industrially based,” he said, specifically citing Dr. Ted Lappas’ work in machine learning and artificial intelligence and Dr. Alkis Vazacopoulos and Dr. Panagiotis Repoussis’ optimization research. The three new members have already collaborated with faculty and graduate students on several research projects, including transportation optimization for Pfizer, web security mining for IEEE and building an intelligent underwriter for JPMorgan Chase. Dr. Asakiewicz also listed Stevens’ high-tech facilities, such as the Hanlon Financial Systems Center and the Stevens Institute for Artificial Intelligence, as a major draw for attracting these new companies. As the director for the master’s program in Business Intelligence & Analytics, he has an up-close look at how companies value professionals able to use data in improving decision making. But the centerpiece of SAIL has always been its annual conference, and interest in the event has continued to grow under Dr. Asakiewicz’s leadership. In June, the SAIL conference on A.I. and digital transformation drew nearly 100 attendees from more than 20 companies. He expects an even bigger turnout for next year’s conference on blockchain, which will be his third. 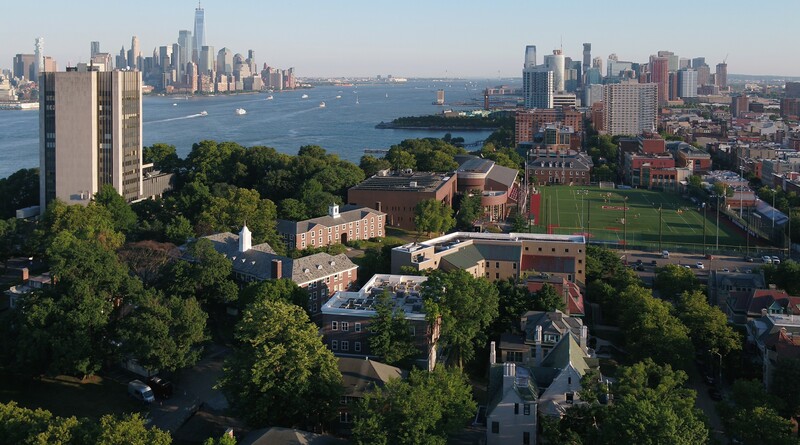 Throughout the year, SAIL members are welcomed to the Hoboken, NJ, campus for executive education and roundtable events, which allow managers to take a deep dive into new ideas and find specific, practical application for these advances for their companies with guidance from Stevens faculty. SAIL selects topics for its conferences and roundtables that draw upon Stevens’ faculty expertise, while also taking into consideration input from SAIL’s board of advisors and conference attendees. This enables SAIL to cover the most pressing issues, while a diverse panel of speakers ensures professionals from every kind of industry find value. “Right now, you’re mostly hearing about blockchain as it relates to cryptocurrency. But, from a technical perspective, blockchain has applications in a whole host of different industries,” Dr. Asakiewicz said. In the future, Dr. Asakiewicz hopes to continue expanding the program by adding new members, particularly in the healthcare and financial sectors. His ultimate goal is to bring together all SAIL member companies for an overarching, collaborative research project with Stevens faculty and students, both graduate and undergraduate, leading to further innovation on a topic such as A.I. “The whole point of SAIL is to build a relationship with these organizations and have Stevens be seen as a value-add to their projects and their activities,” Dr. Asakiewicz said.